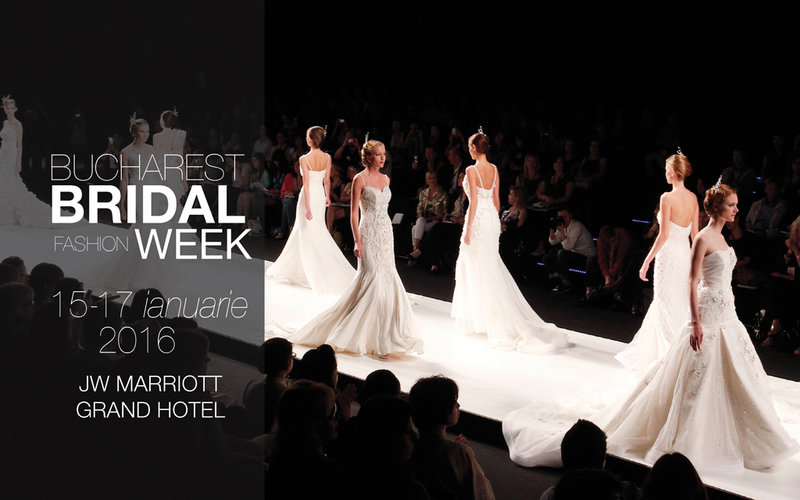 Expomariage, the first wedding fair or the year will take place between 15-17 of January at J W Marriott Bucharest Grand Hotel (Romania). Expomariage is the first wedding fair that was ever organised in Romania, by “Mireasa” (Bride) Magazine and is now at its 17th edition. Expomariage is also the first wedding fair that I ever attended as a wedding dress designer. In case you didn’t know, I designed wedding dresses for about 10 years, so I am a little bit nostalgic as I have cute memories from that period. This edition is a special one though, as it hosts the first edition of Bucharest Bridal Fashion Show, an event where you can discover the new wedding dress collections signed by some of the most important names in this field in Romania. Created as an inspiration for future brides, Bucharest Bridal Fashion Show aims to bring in Romania the refined atmosphere of such events organized in Barcelona, London and New York. The collections presented on the catwalk of the first edition are signed by Agnes Toma, Marie Ollie, Natalia Vasiliev, Bien Savvy, Eli Laslean, Otilia Brailoiu, Athena Philip and Nicole Enea. The artistic director of the event is Alin Galatescu. The fashion shows will be held in each of the 3 days event, between 13:00 – 19:00. The Bridal Show is just a small part of the wedding fair, which will gather lots of other wedding dress designers, accessories, jewellery and wedding rings, photographers, videographers, bridal shoes, flowers, wedding planners, make-up artists and hairstylists etc. If you’re getting married this year, you shouldn’t miss these wedding fairs, as they are a great way to get inspired and gather more information that you can use at your event, discover all the trends and new ideas on wedding planning and the beauty department. A little piece of advice: take your girls with you. 🙂 Men look really unhappy there, they’ll start losing their patience and no one will have a great time. Although the style of wedding dresses does not change drastically from season to season, there are still several trends that have supremacy in 2016 and which deserve to be considered landmarks. I will detail this year trends in a future article, but just to give you an insight of what you might find this weekend at Expomariage, the main styles that will catch your eye will have plunging necklines, long lace sleeves, seductive cuts, ball gowns with full tulle skirts, a lot of lace used in many ways and some Little White Dresses, the white version of the black cocktail dress, perfect for civil ceremonies, and why not, the wedding itself. Another piece of advice: No matter the trends, no matter what everyone thinks and wants, choose your wedding dress with your heart, go try different styles and be open about it, as you will be surprised by how you feel and look in something you’ve never imagined trying before.